The value of a good 404 page is often underrated and with so much competition on the web, it’s important to ensure that your 404 page stands out from the rest. 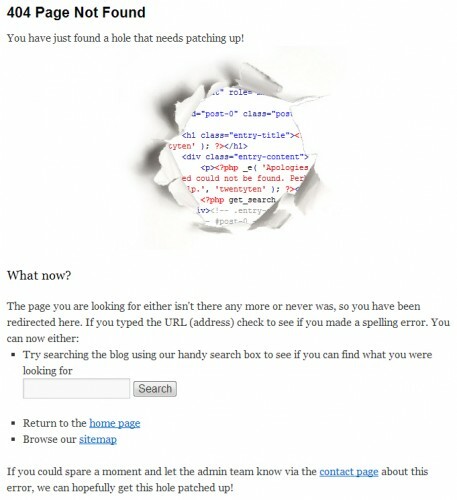 Many users are unsure of the purpose or role of a 404 page and are likely, when coming across one, to leave the site. In order to protect yourself there are some steps you can take against this. A 404 page is what a user sees when a page on a website it not available because the requested page could not be found on the server of the website they are looking at. This could be because the page they are looking at has been removed, or because they typed the URL wrong. Rather than assuming the your visitor understands the issue and knows how to resolve the problem, give them plenty of options to use to help navigate to the page they need. Ideas include a search bar, home page link and links to other popular articles on the website, they will have plenty of options for continuing across your website. Many websites choose to add a bit of humour to their 404 pages. This can help to manage a situation that could otherwise be annoying for visitors. Jokes in reference to the error will usually be successful as it shows that the website acknowledges the hassle and is attempting to compensate for it. It’s too easy to create a generic 404 page, but they can be used as a fantastic opportunity to re-establish your brand and voice. Using the colours and fonts most closely associated with the company will reassure those customers are confused, while also keeping them on track with the company message. Here are some examples of interesting 404 pages. The BBC offer an iconic image and some useful suggestions. 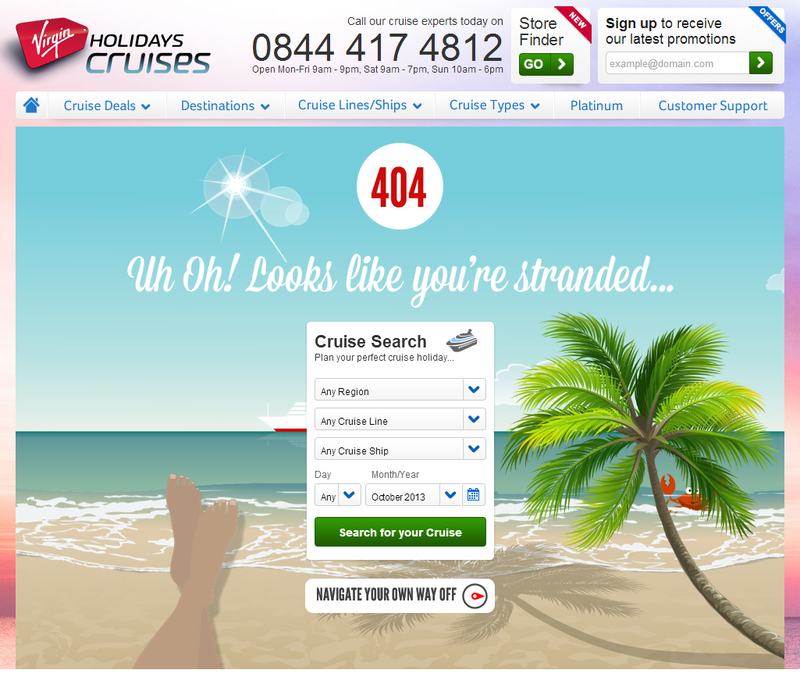 Virgin doesn’t let 404’s get in the way of businesses, its 404 pages let customers search for cruise holidays! Technology Bloggers 404 page shows a HTML hole (it’s just an image!) and gives some helpful suggestions. Funny samples! LOL. But a good way to entertain a visitor when they encounter the annoying 404Error. People sometimes are impatient to view a particular site, this creative means of displaying the 404Error pages diverts their attention to something that is existing in an error page. Thanks for this.